Karam Foundation is providing LONGTERM SUPPORT in the form of SMART AID for Syrian refugee families in need. We strive not to just place aid-bandaids but instead develop sustainable, future-building tools that: Stabilize families, educate children, prevent child labor, discourage early teen marriages, and keep refugees in host countries close to Syria. Help us build a better future for Syria by providing aid today and an education for tomorrow. Join the #BooksNotBombs campaign and call on universities to offer scholarships to Syrian students. The past week has seen a sharp increase in violence in Aleppo. Over 200 people have been killed due to random shelling, airstrikes, and fighting. The ICRC has said that millions of people, many of whom are already displaced, are at grave risk, living on the front lines with little access to aid. Karam Foundation stands in solidarity with the people of Aleppo and shares their outrage at this slaughter. We demand that world leaders act immediately to stop the indiscriminate targeting of civilians by all parties to the violence. 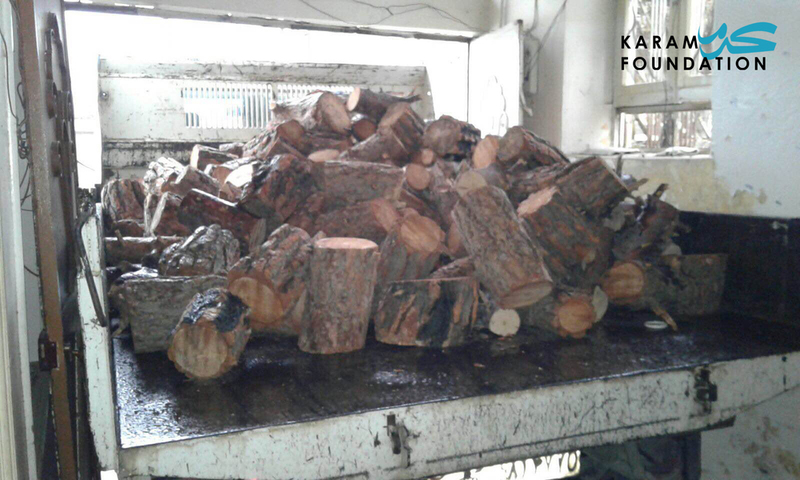 Karam Foundation has been working with on-the-ground partners to deliver emergency aid in the form of medical relief, food, and water to those in desperate need in Eastern and Western Aleppo. We will continue to support the abandoned people of Syria with Smart Aid to help them survive this humanitarian catastrophe. Karam is proud to partner with Africa Clean Energy to bring this advanced technology to serve Syrian IDPs. These ACE1 Ultra-Clean Biomass Cookstoves utilize 70% less fuel and generates basic electricity for LED lights and charging phones. January 2016 winter and heating fuel distribution for IDPs on the outskirts of Aleppo, thanks to our on-the-ground partner, Saed Charity Association. 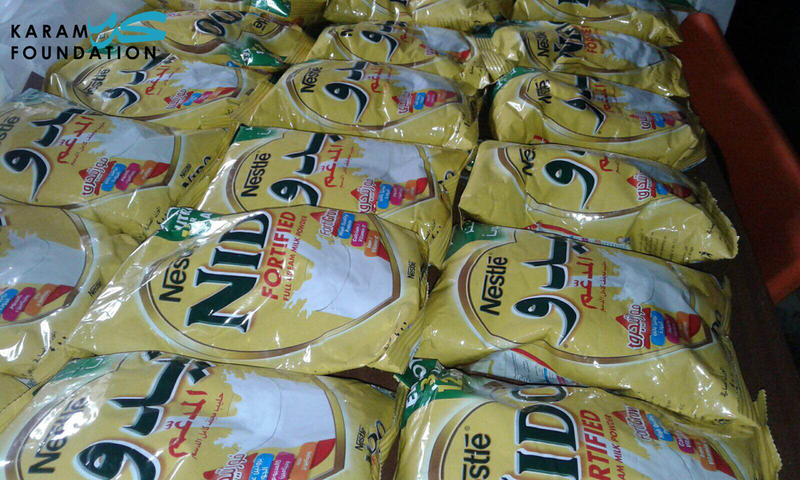 Over the last few weeks, photographs and stories of starved infants and elderly people from Madaya have circulated across social media platforms and international media outlets. However, what is not being broadcasted is that a million people across Syria are being systematically starved as a weapon of war - not just in Madaya. 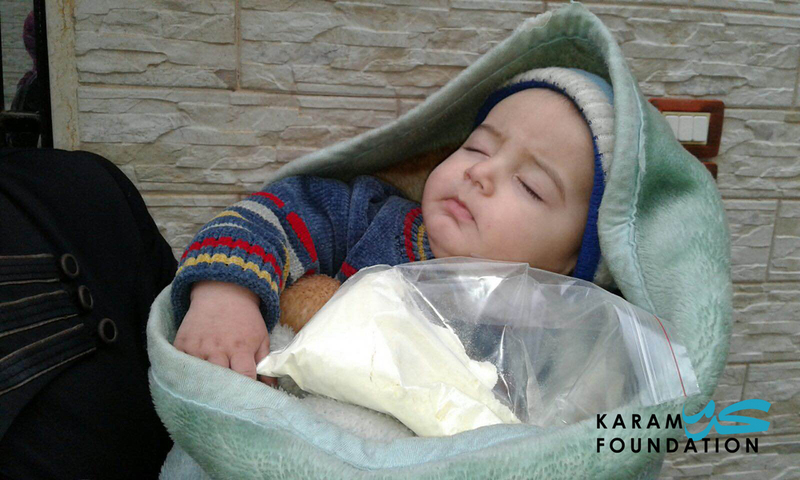 Karam Foundation is working with local NGOs, supporting a number of projects in Madaya but also other "forgotten" cities experiencing brutal siege such as Deir Ezzor, to provide aid in the form of food for families, infant formula, and winter relief for the innocent civilians suffering from hunger and cold. Karam Foundation urges all humanitarian organizations that provide relief to Syrians in need to stand with the people under siege. We should all work together to provide more aid and advocate for the immediate end of unjust sieges across Syria.